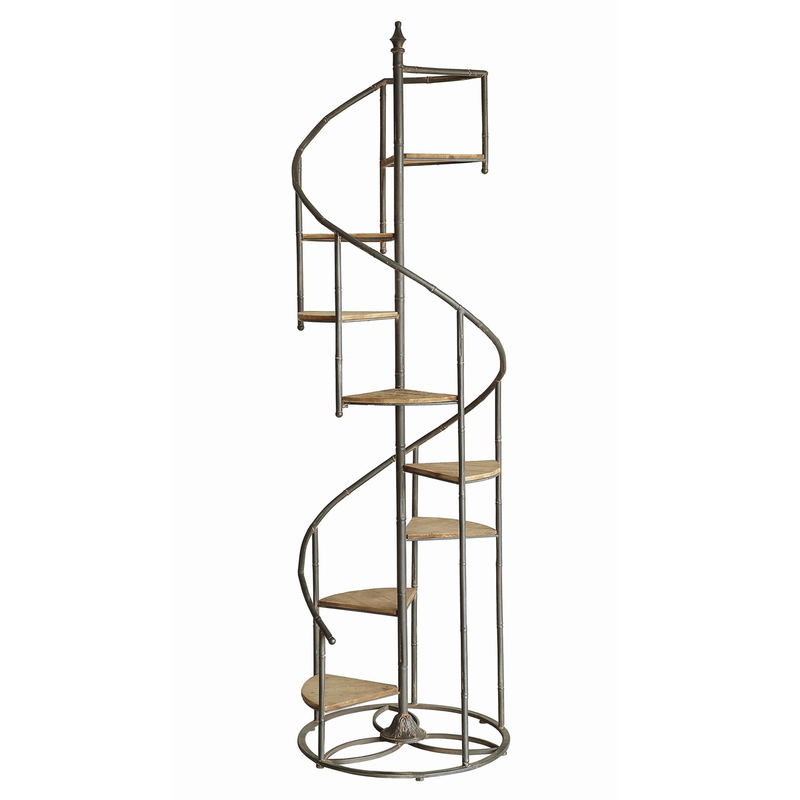 Enhance the coastal mood of your living room with the Darby Spiral Staircase Metal and Wood Shelf, finely crafted with a pretty wood and metal spiral staircase design. This beach style furniture ships from the manufacturer. Allow 1 to 2 weeks. Cannot express ship. For additional offerings, we invite you to take the opportunity to peruse our complete selection of beach style shelves at Bella Coastal Decor today.